A few days left to go on this auction- serviced and ready to go. This is a demo video of actual player. Need a PS-F5 For Parts? 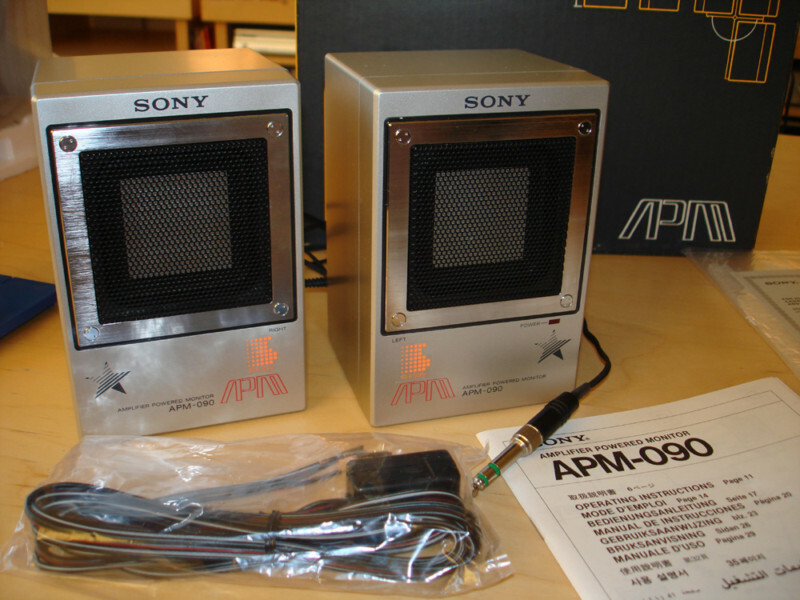 A nice set of APM 090s just appeared on eBay from a seller in New York. I got myself a pair of these a while back, but they’re nowhere near this condition. Hadn’t seen the direct speaker connector before. 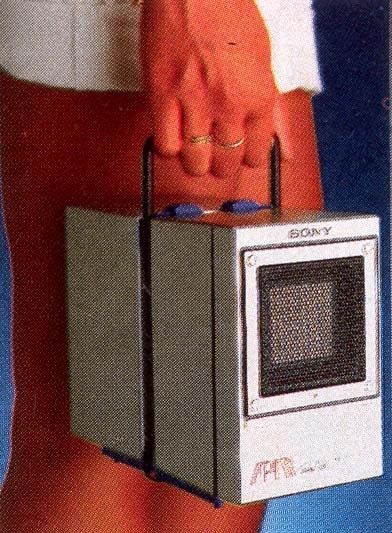 Might have to make myself one of those (mine came with none of the extras). The seller was good enough to upload scans of someÂ ofÂ the instruction manual, which is good for me!Â Here’s the auction’s images (click to enlarge). One in Germany and one in Italy. 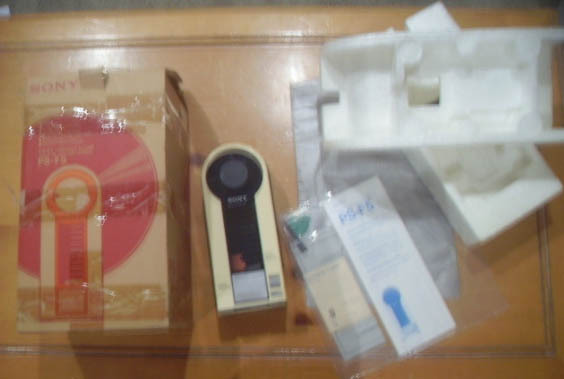 Looks fairly tidy, boxed with what looks like all the original items. Shame the photos look like they’ve been taken through an ice cube. As I type this the bidding is up to US $224.60 and its still not met its reserve price with 6 days to go. 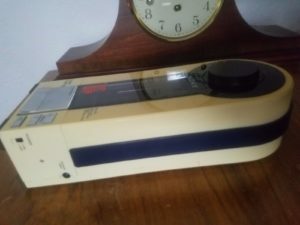 Seeing that manual reminds me, does anyone have one they could scan so I can share it on this site? That’d be nice. Sadly I didn’t receive the carry handle, but happily both have their original “It’s a Sony” sticker.